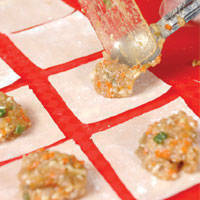 Cook your way to hefty profits by making and selling this well-loved traditional Chinese dumpling---siomai. 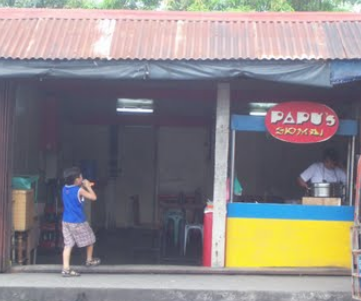 Students and alumni of University of the Philippines in Los Baños would surely agree that everyone who visits the campus must try eating at or taking food out from Papu’s Siomai, which is conveniently located just a few meters outside the main gate of the university. This small food joint not only boasts of the best tasting siomai in the country; it is also proud of serving quality snacks at very affordable prices, making it very popular among budget-conscious students in the state university. Believe it or not, for less than P20, you can enjoy three pieces of huge siomai and opt to have a meal with rice for just around P25. Without a doubt, siomai is a popular snack for modern street smart Filipinos. That is why there are several franchised food carts that sell it in transport hubs, malls, food courts, and local neighborhoods. You may try putting up your own small business making and selling siomai. For just a minimal capital, you can jumpstart this small food venture and see your profits grow further by maintaining good quality and ideal size of servings. You may even sell sago at gulaman and other street desserts to boost your daily revenue. 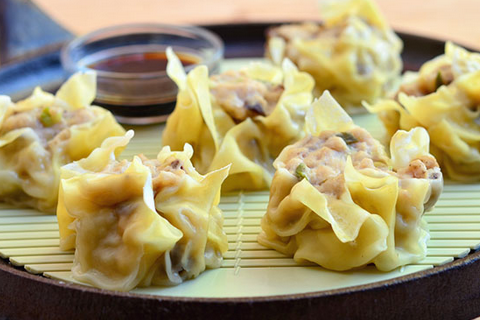 Siomai is a very versatile dish. It can be eaten solo as a snack, or served with rice to make a full meal, so you can sell it anytime of the day. Ingredients for making it are readily available in supermarkets and public markets; some you’ll even find in your own kitchen right now. You can possibly find and buy ready-made and frozen siomai in supermarkets. But if you prefer making it on your own, here’s a simple siomai recipe to make 150 pieces (10 grams each). 1. Once you have all the ingredients, prepare the curing mix by combining the phosphate, iodized salt, and curing salt. Blend. Before adding the chilled water, make sure the phosphate is blended well with the other two powders. Stir well until everything is dissolved, then set the mix aside. Thoroughly mix the phosphate with other ingredients to avoid lumps from forming and to prevent bacteria from proliferating. 2. Prepare the extender by mixing the TVP and carrageenan. Make sure they are blended well before adding to the water; this is to ensure that the TVP would not separate from the meat once the siomai is cooked. 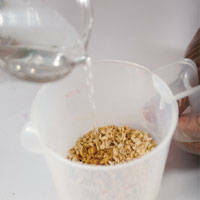 Mix the extender for three minutes until it is hydrated. 3. 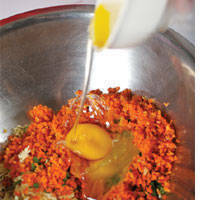 To make the seasoning, mix all the dry ingredients in a bowl. Then pour the liquid ingredients except the egg and BF blend. When the dry and liquid ingredients have been mixed, add the eggs and then the BF blend, which together will serve as binders. Set the mix aside. 4. Prepare the meat by adding the curing mix, kneading it by repeated inward folding with your palm. Make sure the curing mix is evenly distributed. Knead the meat until it becomes tacky and can be held together—that is, there should be no loose bits of meat. Then add the extender, also making sure it is evenly distributed while you knead the meat. 5. Transfer the meat to a bowl containing the seasoning. Mix until the meat absorbs the seasonings in the bowl. Then knead the meat. Get the molo or siomai wrapper and the weighing scale. 6. Arrange 10 wrappers in a tray, and weigh 100 g of siomai mixture. Place 2 tsp of meat in each wrapper until nothing is left unfilled. Each wrapper will have 10 grams of siomai. 7. To enclose, gather up the edges of the wrapper and gently pleat it so that it forms a basket shape, with the top of the filling exposed. Press lightly as you pleat each side. Or, if you don’t want to expose the filling, use a bigger wrapper. Do the same to the remaining meat mixture. 8. After wrapping the siomai, get the steamer and pour water until it is one-fourth full. 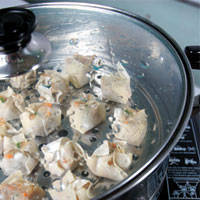 Arrange the siomai uprightly in the steamer and steam for 25 minutes over simmering temperature. While waiting for the siomai, prepare the sauce. Notice that although your meat is just a kilogram, your yield is 150 pieces, which has a total weight of 1.5 kg. This is because of the extenders you added and the weights of the other ingredients. 9. Mix the following: 1 cup or 224ml soy sauce, 12 pcs or 60 g calamansi or Philippine lemon, 1 tbsp or 3.30 g white sugar, 1 tsp or 1.70 g ground black pepper, and 3 tbsp or 6 cloves of fried chopped garlic. Set aside. 10. After 25 minutes, take off the siomai from the steamer and arrange it in a tray or plate with the sauce.